I still remember, with great fondness, the evenings of the holy month of Ramazan when the village women will gather in our courtyard to break their fast. Amidst the laughter and hushed gossips they also exchanged interesting stories. Out of the many that I overheard one was about the special blessings of 27th Ramazan, the gist of the story was that on this day even deer observe the fast. As a child I wondered how anyone would even know that a deer is fasting. However, as I grew up and developed a mature attitude I began to understand and appreciate the certitude of those women who never questioned the irrationality of the story. Last week while browsing through a book on Sultan Bahoo , a seventeenth century Sufi poet of Punjab, I came across another story of a deer appearing in the month of fasting. It provided a few more details such as the deer would bring in food and water for the Sultan and his companion who were travelling in the region of Kallar Kahar in Punjab. The story is even authenticated by two graves in that region which supposedly are of an Ahoo (deer) and Bahoo (the saint). It was natural for my thoughts to wander to an Indus seal engraved with the image of a deity sitting in a meditative posture and surrounded by animals including deer. I am referring to the well-known proto-Shiva seal as Sir John Marshall associated its deity with Lord Shiva in his avatar of Pashupati. I would like to suggest that this seal can also qualify to be a proto-Buddha seal. Considering the fact that the Indus region had been a stronghold of Buddhism and that several Buddhist symbols are found on the Indus seals it is possible that Islamic versions of the deer stories associated with fasting have evolved from the Jataka tales wherein deer is portrayed as a compassionate animal and even Buddha appears as a golden deer. Such deer stories would have been more valuable during the period of early archaeological research which began with the quest of an ancient Buddhism and which I have covered in another chapter of my book. Briefly, it was Sir Alexander Cunningham who became the first director general of the Archaeological Survey of India in 1861 and who initiated the idea of the existence of an ancient Buddhism. He also believed that ancient Buddhism was more widespread than what is described in history. In his quest he followed the footsteps of Xuanzang, the Chinese pilgrim and a scholar who wandered in the Indian subcontinent for many years (between 630-645) to search the original Buddhist scriptures. To cut the story short of that long journey, Cunningham reached the Shahbazgarhi Rock near Peshawar where he examined the edicts of Asoka the Maurya king (304-232 BCE) who had converted to Buddhism. When he realized that the script used on Shahbazgarhi is different from the script used in Asokan edicts carved elsewhere in the subcontinent, he became curios about the origins and earlier versions of that script. Cunningham’s journey took him to Harappa which until then was known through the writings of two earlier travelers – an absconder and a spy- Charles Mason and Sir Alexander Burnes. But while those travelogues reported mostly the architectural features, Cunningham’s report also published smaller objects, most intriguing was the image of a tiny seal he had chanced to see. The seal was inscribed with six symbols and the image of an animal below. On his first observations Cunningham had rejected the seal as a foreign object but later on he realized that the symbols engraved on it might be the precursors of the Shahbazgarhi script. With this background in mind we can only imagine Cunningham’s enthusiasm , had he journeyed another 400 miles and spotted in the flatland of upper Sindh a mound about 80 feet high and crowned with a Buddhist stupa. It could have led him to his Eureka moment had he spotted the seals engraved with Buddha’s symbols in the ruins of a city unearthed below the foundations of that stupa. Dear reader, on page 103 of my book I have reprinted the symbols of Buddha that Cunningham published seventy years before the discovery of Moen jo Daro. 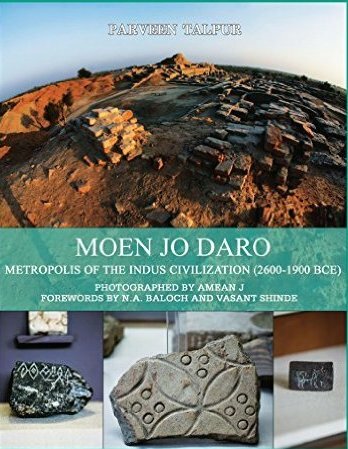 Out of these symbols I have pointed to two which also appear on a number of Indus seals and which appear together on an object discovered from Moen jo Daro. Today, as I am looking back to Cunningham’s list of symbols I also notice a deer image along with those two symbols. This leads me to say that the appearance of deer on Indus seals might also be telling us a long lost story of a fasting Buddha, and the proto-Shiva image might be representing a fasting proto-Buddha. I must add here that although, Sir John Marshall labeled the deity on the seal as proto-Shiva but the deer image below the throne of Shiva reminded him of the deer motif in Buddhist iconography. In fact he has recognized several other seal symbols and architectural features as Buddhist. Changing a label leads to different consequences. The book on Sultan Bahoo while referring to the two graves also informs us that, “Till 2001, this place was famous by the name of Aahoo and Bahoo but in 2002 its name was changed to ‘Hoo-b-Hoo.” This is the case, which the writer rightly observes can lead to “altering the actual history.” The case of Indus seals is unique as I explained in my book “Had Cunningham lived long enough to witness the unearthing of Indus Civilization he might have identified its cities as citadels of ‘ancient Buddhism.’ But the fact is that Buddhism, Jainism, Hindusm, Bhaktism, Gandhism and Sufism are all deeply rooted in the Indus Civilization, which being far removed in time was not branded with one of these ‘isms’ but which is reflected in all these through its imagery and through its most prominent trait, the nonviolence. To call this trait a philosophy, an ideology or a religion will be wrong, for the civilization at that moment of socio-cultural evolution was at a stage where philosophy, ideology and religion were all rolled together.” Hence, the seal under discussion might be representing earlier avatars of Shiva, Buddha and even of Mahavir Jain all kneaded together.